This is the second installment in a two-part series on bike camping with kids. 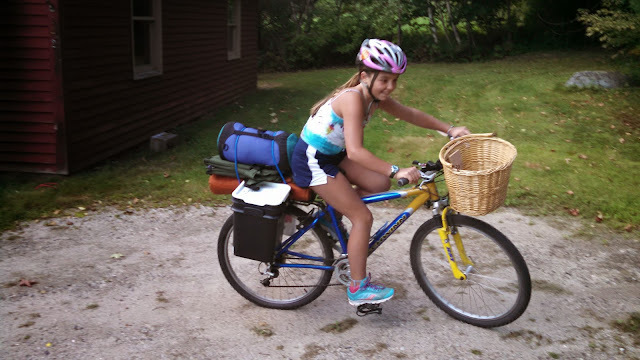 In the first installment, AMC contributor Ethan Hipple shared his account of his family's bike camping adventure along the coast of Maine. It is the story of one family's trip with 11 and 13 year old kids pedaling their own camping gear along the rocky coast, islands, and fishing villages of Deer Isle, Me. This week, we publish his tips for routes, planning, packing, and equipment. Wicker baskets are old-school, but functional. Bike: Just bring what you already have. Don’t get new bikes unless you are planning a cross-country expedition. Panniers/Trailer: I highly recommend a sturdy bike rack (about $30 to $40) with square 5-gallon buckets bolted onto the rack. This is your cheapest option. 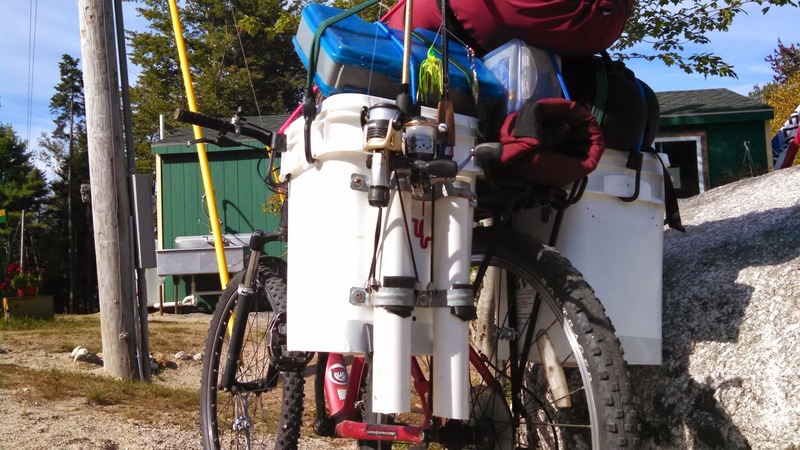 Panniers made from waterproof nylon/cordura are also great, but pricier. 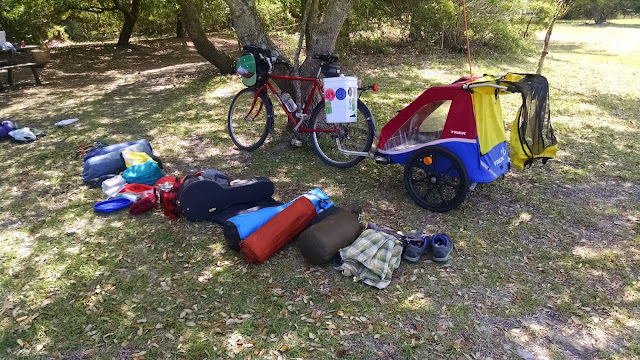 If you want to bring a lot of gear ( sometimes a necessity when travelling with younger kids) a bike trailer is perfect. Also, having the stronger bikers in the group tow a bit more gear improves group dynamics as it slows them down a bit and keeps everyone at the same pace. Handlebar Bags/Under-seat Bags: These are essential for the small items that you will use all day: sunscreen, maps, camera, phone, wallet. I carry all of our tools and patch kit in a small case under my seat. Bike Tools: You will need, at the very least, a tube patch kit, small adjustable wrench, screwdrivers (regular and phillips), allen wrench set, extra batteries, spare tubes, tire levers, and spare hex-head bolts. A squeaky chain will drive you nuts on a long ride, so bring some chain lube. Maps: Bring very detailed map printouts. Cell phone coverage can’t be relied upon. The beauty of a bike trip is being able to take the back roads, which won’t show up on a standard highway map. Get USGS or similar detailed maps of the area you will be in, or make copies of a good quality gazetteer. If you are really on top of things, you can laminate them ahead of time. Bungee Cords: Can’t have enough of these to keep everything battened down and strapped on your bike. Ziplocks and Trash Compactor Bags: Dry campers are happy campers. Ziplocks and trash compactor bags (extra-thick trash bags) can be used to line your buckets or panniers and will add an extra layer of waterproofing to keep your sleeping bag, food and clothes dry. Nothing ruins an experience like being cold and wet. But sitting in your warm tent in a dry sleeping bag, listening to the rain outside is awesome. The difference between the two experiences is good waterproofing! 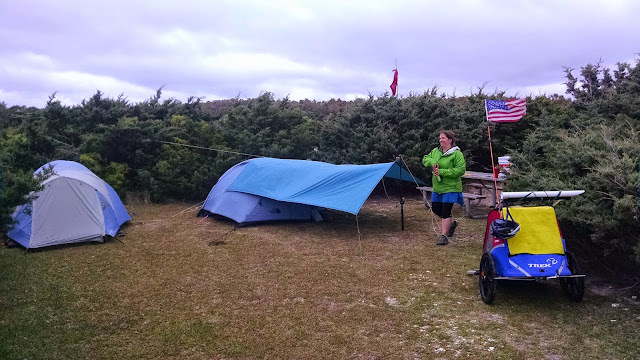 Sarongs: I know this one sounds a bit weird, but after years of trial and error, we’ve found these lightweight rayon wraps can be used for just about anything on camping trips. They serve as a towel that absorbs well and dries in minutes, a picnic blanket, tablecloth, wraparound skirt for trips to the campground shower, a makeshift shade on a sunny day, even an emergency sling. Zip Ties and Duct Tape: With these along, you can fasten just about anything that comes unfastened. Navigation: Map and compass and knowledge how to use them. Sun Protection: Sunscreen and shades. Insulation: Non-cotton, insulating layers. Fleece, poly-pro or wool are best. Illumination: Just going out for a day ride? Still bring a headlamp and bike light. You don’t know what is going to happen out there. First Aid: Bring a small backcountry first aid kit on every trip. Fire: Lighter and fire starting material. Nutrition: In addition to lunch, bring emergency food: energy bars, trail mix, dried fruit or jerky. 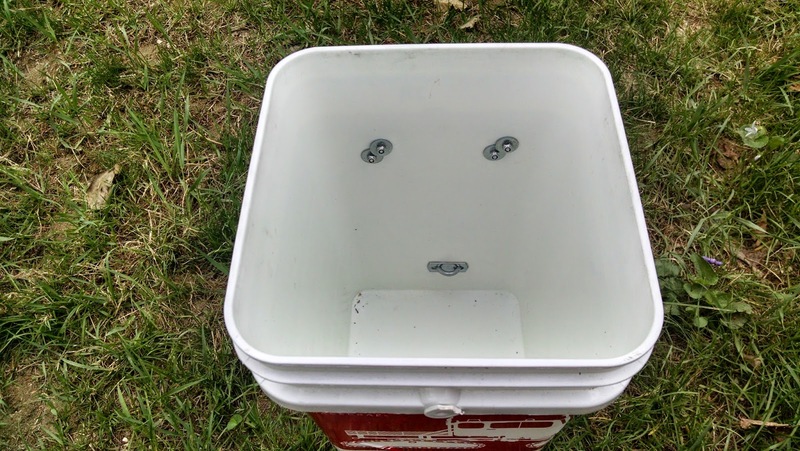 Hydration: You should be drinking all day as you read--at least two quarts per person. But as you won’t be in the backcountry, you can just carry one quart bottle per person since you can refill as you go. Shelter: Tent for overnight trips. Tools: I never go an adventure without a lighter, Swiss Army knife or multi-tool, 50 feet of parachute cord, and duct tape. With these items along you can handle almost any situation. A trailer allows you to haul along extras like extra tents, camp hammock, instruments, and more. 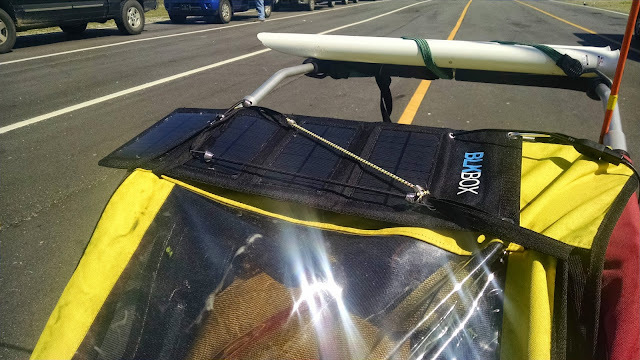 We've seen folks carrying coolers on short trips! Solar charger is handy for cameras, phones, etc... This one cost $30 and charges a phone in 3 hours while we ride. Bring along an extra tarp to make a vestibule. Gives you a front porch off of your tent! Bring lightweight games: cards and dice are great. Bring some small instruments to play around the fire at night. Even a couple kazoos or a harmonica for non-musicians can keep you smiling. Bring plenty of cash for ice cream. As all parents know, nothing motivates like sweets. Take the backroads and don’t get too pre-occupied about getting to your destination as fast as possible. Some of our best memories were stopping at flea markets, lemonade stands, and random roadside attractions we found along the way. Swimsuits! Moving at slower pace, you will find lots of great swimming holes that you would probably miss while whizzing by in a car. 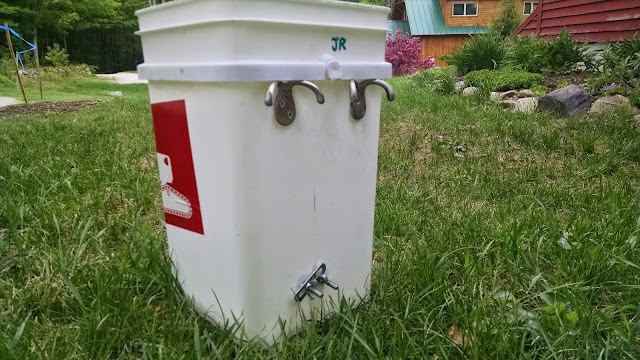 Use three u-bolts to attach the bucket to the bike rack. Or you can make it quick-release (as pictured above) by using coat hooks on the top (they hook over the top of the bike rack) and a u-bolt on the bottom (it attaches with wingnuts to the vertical bike rack supports). Maine Coast: Too many trips to list here, but there are options ranging from Deer Isle to the carriage roads of Acadia National Park. The state’s countless inlets and peninsulas make for great exploration and adventure. Roads can be narrow here, but if you get off of Route 1, they are pretty quiet. Leave From Your House: This could be the simplest option of all for those who live in rural areas or urban areas with good bike paths. Nothing can beat the adventure of a three-day loop straight from your driveway to a nearby campground. Or do a one-way trip and have someone pick you up at your final destination. Read the first installment of this two-part series here.